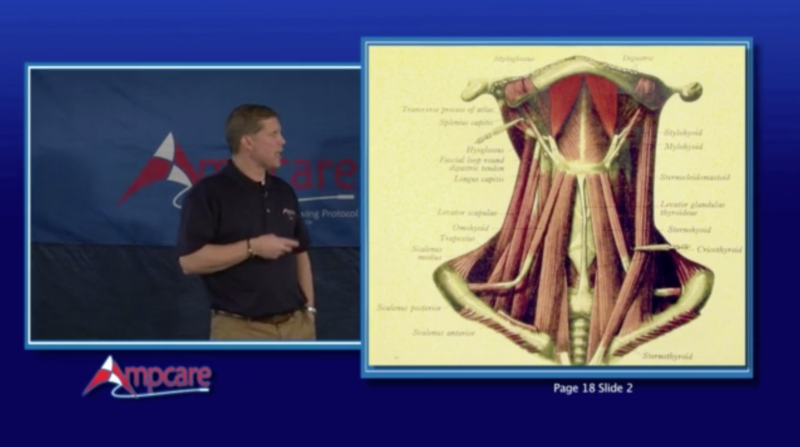 The Ampcare online ESP certification course is offered for 0.8 ASHA CEU’s. 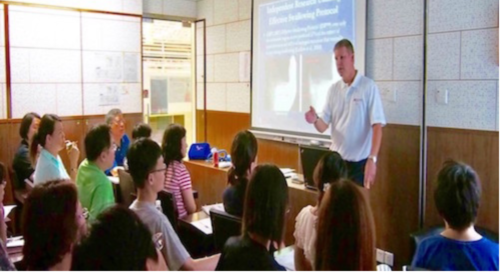 The training consists of an introduction and 11 modules that cover the anatomy and physiology of the swallow response, muscle fiber types and recruitment patterns, fundamental principles of electrotherapy, and past and current research. Each module is completed on demand at the participant’s own pace and will be followed by a short, comprehensive quiz to ensure understanding of the material. Click here to see a video tutorial on getting started after your online purchase. Please note that if you choose the $100 Training with Equipment option, you will be invoiced for the ESP Kit* ($649 + shipping and tax when applicable) after submitting your registration form. *The ESP Starter Kit includes the ES muscle stimulator (2 AA Batteries, 2 Lead Wires, Users Manual, Carrying Case), 10 packages of E Series Electrodes and the Restorative Posture Device (RPD). **If you are registering and paying for someone other than yourself, please use the email address for the clinician who will be taking the online training in the ordering information. 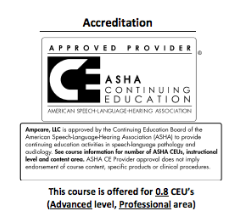 For further information on receiving 8 hours of ASHA continuing education units and ESP training please contact an Ampcare representative at 682-561-2444. Check out this video: https://share.vidyard.com/watch/UrjfnbtTaaUd43RH2keW3Q? Russ Campbell, P.T., Disclosures: Financial: Russ receives a salary and has intellectual property rights, holds a patent on the equipment, and has an ownership interest in Ampcare LLC. He has employment, a management position, an ownership position, and speaks for Ampcare LLC. Russ has no existing non-financial relationships. Rick McAdoo, MS, CCC-SLP, Disclosures: Financial: Rick has intellectual property rights, holds a patent on Ampcare ESP Technology and receives compensation for its sale. He is employed by and has ownership interests in Ampcare, LLC, and receives a salary. Nonfinancial: Rick has no relevant nonfinancial relationships to disclose. This presentation will focus exclusively on Ampcare products and will not include information on other similar or related products.